Manchester City overcame the haunting of former players Rodwell and Johnson to over-power Sunderland after an explosive second half in their New Year's Day clash. Frank Lampard, making an impact from his introduction into the match, overtook Thierry Henry to fourth position in the all-time Premier League scorers' list. He did so with his second touch of the game, providing the winner. A subdued first half saw City fail to breach Sunderland with a thick sheet of defenders stopping. 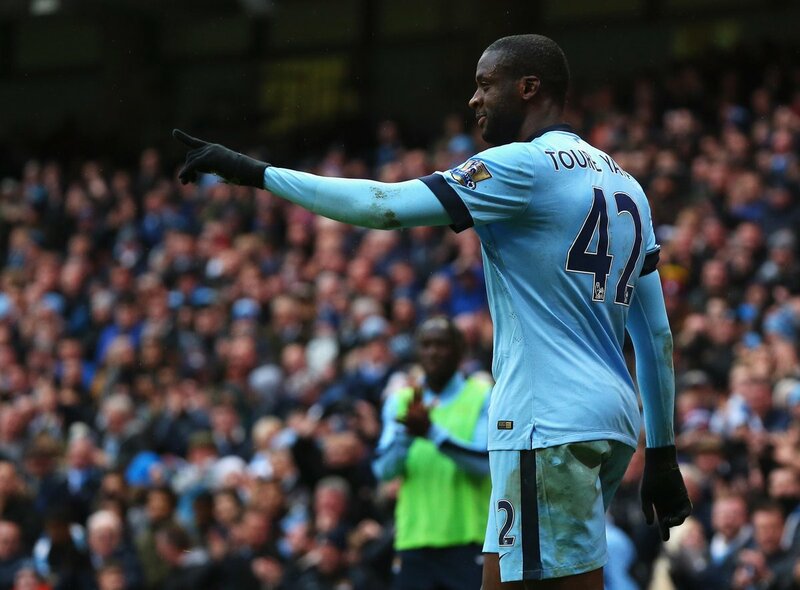 But Yaya Toure's sublime strike kickstarted a thrilling period of 5 goals in 16 minutes. Jovetic's classy goal made it 2-0, but former City players Johnson and Rodwell evened the game. Lampard scored the fifth and final goal to win it. As rain heavily poured upon the surface of the Etihad Stadium, Manchester City set out to dominate the game within minutes. Incisive link-up between David Silva and Stevan Jovetic registered a first attempt on goal for the Citizens, although it would merely bulge into the side netting. Soon after, Wes Brown was found being a little too casual, when his clearance ricocheted of the palms of City's striker, which the referee accordingly awarded a free-kick. Gus Poyet's side found themselves compressed in the final third for a majority of the opening spell. City were dominating possession, creating glimpses of chances and were just waiting to pick their spot. Yaya Toure tried to emulate a goal from the distance in which he scored spectacularly in the Capital One Cup final against the Black Cats, but a wild strike from the Ivorian went well over this time round. While maybe showing a lack of ambition, Sunderland weree structured and got a most of their players behind the ball. Pantilimon was coated by a thick red-white sheet of defenders who weren't willing to give themselves up and go forward. Eventually though, they began a quest to shift the landslide in possession by passing the ball in their own half. A momentary lapse in concentration almost lead to the opener. From a corner kick, the Black Cats hesitated, and Yaya Toure looked to smash it on the turn, only to be blocked by Vergini. It came towards the left foot of David Silva, but his attempt was off-target. Manchester City were quite comfortable to embrace their possession and wait for pockets of space to appear. But half-an-hour in, none of them did. David Silva collected the ball from the left, stinging the palms of Pantilimon who beat it away. Clichy got to the rebound but slashed wide. The Tyne-Wear contingent were holding up. A third through the game and they had surrendered most possession to the hosts but just awaited one opportunity to go against the run of play. That wouldn't come for a long time though, and yet again Sunderland found themselves welcoming pressure as Pellegrini's men tried to breach into the area. Yaya Toure got through, despite Larsson tugging his shirt. As they played the ball around, awaiting the opening, Jesus Navas looked to cut in a low cross but Wes Brown got rid. It was plain sailing for City, but plain would also describe them going forward. They just needed a little more pace and sting to overdo the sturdy defence. Sunderland displayed what they could do going forward. Almost catching them by surprise, Gomez was hacked down by Zabaleta. Larsson had a fantastic attempt at goal, which was stopped by Caballero. A glimpse of what the visitors could do didn't rest well with Manchester City who had, otherwise, dominated the first half. Sunderland continued to defend deep as the second half began. Looking to spread and stretch the defenders, Poyet's side just stuck to their game plan and some fragments of frustration began to accumulate as their abundance in possession had yet to produce any real, clear cut chances. That wouldn't last long though. Working his way around the left, Steven Jovetic rolled the ball towards Yaya Toure, who hit first-time with an absolute thunderbolt, aggressively rippling the net of the left top corner. One of the finest strikes of the season by the midfielder had given City the somewhat inevitable breakthrough. That would finally force Sunderland into an attacking mindset. In doing so, they looked impressive. Larsson's troubling ball was cut out, but with possession increasing they were looking for some vital quality. Speaking of quality, Manchester City conjured up some of the best as Stevan Jovetic doubled the lead in classy fashion. Jovetic produced a lovely reverse pass to Clichy, before showing great desire to get into the box and meet the pass of the French full-back before a nice crossed heel finish. The Black Cats though wouldn't sit back. Caballero was forced to tip the ball out for a corner kick, and from that corner the complexion of the game. Jack Rodwell glanced a header that drifted into the top corner. Belief was re-instated. Sunderland continued to go forward with confidence, and substitute Alvarez was charging towards goal when Pablo Zabaleta caught him. A penalty was awarded to the visitors. Adam Johnson, yet another former City player, sent Caballero the wrong way and slotted it towards the right. It was, miraculously, even again. However it would only remain level for 95 seconds. Frank Lampard, who was subbed on just minutes earlier, would come up good. New contract, same old Lampard, as he awaited the cross, got away from his marker Wes Brown and with his second touch of the game headed past Pantilimon to make it 3-2. Davild Silva rattled the woodwork, Yaya Toure dribbled in and was stopped. A first half that finished with little action had exploded into an incredible game. Any time Lampard got himself involved in the game, he was a threat. He forced another stop from Pantilimon, before he was played on well only to be thwarted by the away keeper. Yet again, the former City No.2 was there to keep the game alive. A fourth goal for the hosts was almost certain when David Silva set up Fernandinho right in front of goal, but it was stopped well. James Milner got involved right away, assuming the No.9 position and having a good crack which whistled past goal. The Englishman struck it well again as brilliant linkup with Yaya and Kolarov set him up, only to go over. A terrific contest, going from a slowburner of a first half to a thrilling second. Frank Lampard makes the difference and comes up good for Manchester City. Frank Lampard comes up with the winner as Man City sink Sunderland in a 3-2 thriller on New Year's Day 2015.